Sick of Step Therapy? So are we! If living with psoriatic disease isn’t challenging enough, most people struggle to afford their treatments. On top of that, insurance companies are increasingly using policies that prevent patients from receiving the right medication for them. Join NPF in the Lone Star State for our Texas Step Therapy Lobby Day. Together, we can change lawmakers’ minds. Step therapy, often referred to as “fail first,” is one these policies the National Psoriasis Foundation has identified as a particular concern. It requires a patient to try, then fail, on lower-cost or older drugs selected by their insurance company before receiving coverage for the drug originally prescribed by their health care provider. As part of our ongoing effort to increase access to care for patients, NPF has targeted various states for the passage of legislation that will stop harmful step therapy practices. In Texas, these efforts are well underway and off to a very positive start. NPF has united with more than 13 fellow patient and provider groups, representing a spectrum of chronic diseases, to pass new legislation. The legislation will create a clear and quick process to protect people living with psoriatic disease from being required to try or stay on a step therapy medication that will negatively impact their health or quality of life. One of the most valuable tools for passing this important piece of legislation is you, the patient. 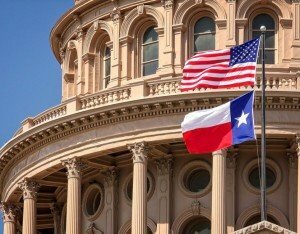 We want to ensure Texas lawmakers have the opportunity to hear directly from patients and providers about the importance of properly treating their psoriatic disease This is your opportunity to tell lawmakers how step therapy has personally impacted your health and for providers to share how it affects their ability to treat patients. On Tuesday, Jan. 31, and Wednesday, Feb. 1, NPF and the Multiple Sclerosis (MS) Society are hosting a Texas Step Therapy Lobby Day to educate Texas state officials on the impact of step therapy and fail first insurance policies, and to endorse our 2017 step therapy legislation. More than 40 psoriatic disease and MS patients will arrive in Austin to learn more about current step therapy issues and to share with their elected representatives their access to care struggles as well as the physical, emotional and economic impact this has placed on their lives. Beyond our Step Therapy Lobby Day, we are also raising awareness by sharing these powerful patient stories through media outlets. You can see our first published story here. This visibility and awareness among state officials will boost our chances of not only passing this critical legislation, but also helping to bring safeguards and protections for patients and improve their access to safe and effective treatment. Ready to help support our efforts to reduce step therapy in Texas? Please contact our State Government Relations Manager, Amy Prentice, at aprentice@psoriasis.org. to learn how you can get involved! If you are interested in the official positions of the NPF, please visit our policymakers page. If you’d like free, personalized guidance for living a healthier life with psoriatic disease, contact our Patient Navigation Center.